Intelligent beverage packaging is being developed at a rapid pace to fulfil a wide range of criteria. 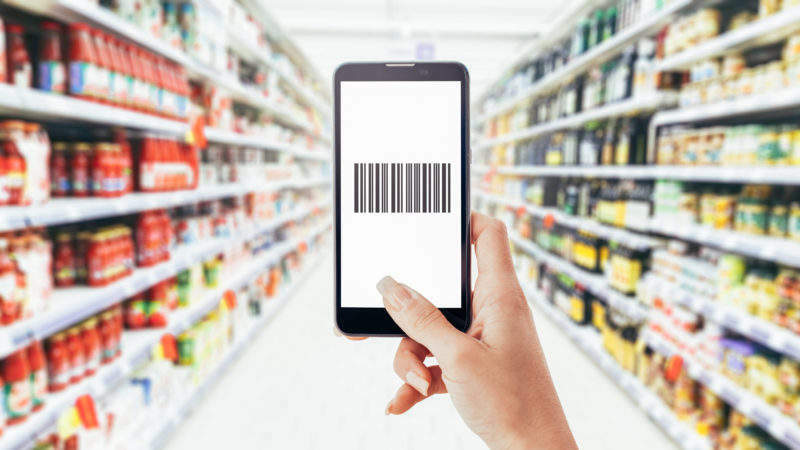 Sonia Sharma finds out more about the latest developments within this market and how the industry is pushing itself even further in order to connect to consumers. With the industry expected to grow at a rate of 7.5% annually, hitting $7.6bn by 2021, drinks brand owners have unprecedented opportunities for them to capitalise on. For big name brands, intelligent pack solutions are a key driver in encouraging consumer engagement. With the industry expected to grow at a rate of 7.5% annually, hitting $7.6bn by 2021, drinks brand owners have unprecedented opportunities for them to capitalise on. Packaging that reacts to touch or which allows consumers to engage with their beverage via a simple scan of their smartphone has become commonplace and brand-owners are equipped to share information on their packaging like never before. Packs may contain multiple levels of information from ingredients lists to hidden interactive features. “AR technology provides a bridge between physical objects and the digital world in real-time by using a smartphone or tablet and the Zappar app to bring content to life. Through AR, a brand’s story no longer stops at the back of a can or bottle. Brands can now tell their story in limitless space, with unlimited creative possibilities,” Thykier explained. One such example was a partnership between Zappar and SIG, a world leader in aseptic packaging, with the intention of invigorating the long-life food and beverage category. As a first exploration of augmented reality, SIG was looking at a new product line based on a water carton as opposed to a water bottle. The environmental impact of a single-serve plastic water bottle is very real and well documented. A recyclable aseptic carton could help to reduce waste and speak to a more environmentally conscious audience who still seek convenience. The use of AR helped bring this unique selling point to life whilst also highlighting the different product variants in the range. Taking the consumer on a journey is a vital factor in creating a dialogue between the brand owner and the end-user. “Digital content is now leaps ahead through augmented reality, the supplementary information is provided in real-time – for example in 3D, as a game, video, text or animation. The advantage is that the information is made available right there and then, when it’s needed. AR opens up a whole new dimension of interaction between product and customer. Information is presented as infotainment – integrated into a modern packaging design and tailored to the relevant target audience and the relevant subject matter. Through this interaction, the consumer is immersed with a product more deeply than before, allowing simple information to become an experience,” comments Thykier. “As demonstrated, not only can AR drive sales for businesses, it can also improve frequency of consumption of product, assist in lead generation and data collection, bring to life the product away from a static image and increase social engagement,” he continues. Smart packaging, however, does not always have to involve a smartphone or IoT. It can come in many different forms – tactile bottles and the sensory engagement being one of them. Engaging consumers through these elements can also generate interest. The beverage sector is one of the key growth areas for active and intelligent packaging going forward. “As the issues of scalability and cost are being overcome then incorporating multi-functioning A&IP components for, particularly, consumer engagement (connecting packaging to IoT provides incredibly useful metrics to Brand Owners and Retailers) will, we believe, increase rapidly in the next few years,” said Active and Intelligent Packaging Industry Association (AIPIA) communications director Andrew Manly.